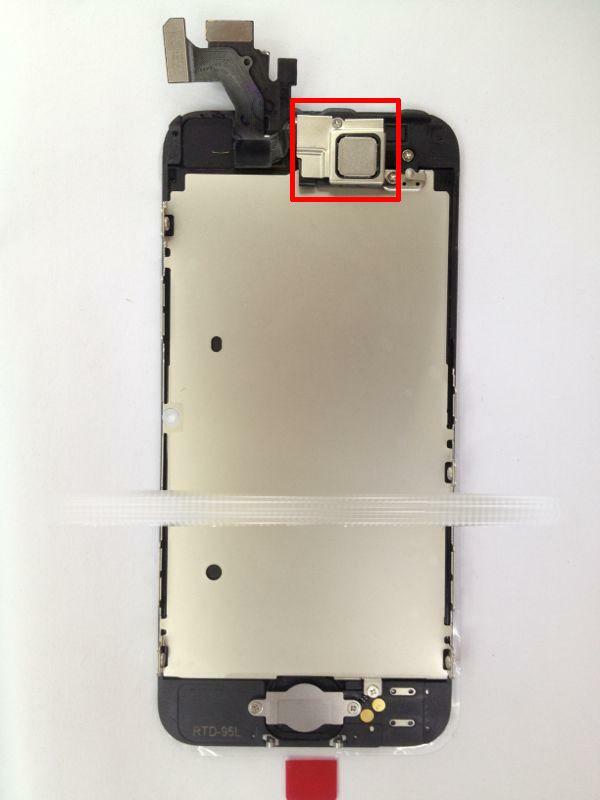 New images thought to be of the front assembly for Apple's next-generation iPhone show a component never seen before in the company's handsets, prompting some to speculate the mystery part is a near field communication device. It should be noted that AppleInsider cannot verify the unknown part's origin or intended use, and offers the following information solely for purposes of discussion. The photos found on Sunday by Chinese site Apple.pro reportedly show a fully-assembled next-generation iPhone front assembly, and come from a Photobucket account that previously some of the first shots of the purported handset's front plate. At first glance the images appear to be similar to those of a semi-assembled front panel published earlier this month, however closer inspection reveals more parts are present, including what could be a near field communication chip located next to the unit's front-facing camera. 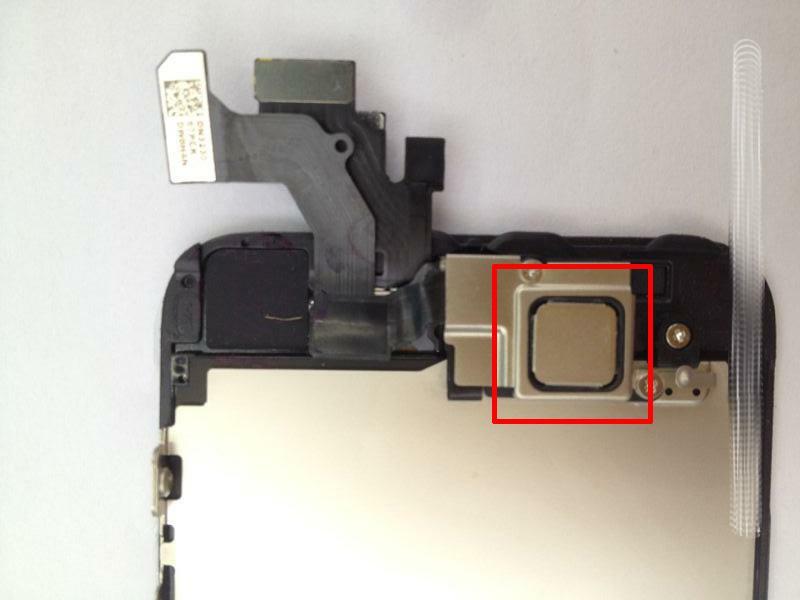 As noted by Japanese Apple blog MacOtakara, the square component covered by EMI shielding is in line with the dimensions of currently available NFC packages like NXP's 5 millimeter-by-5 millimeter solution. In previous "leaked" photos, Apple was shown to have swapped the locations of the rumored handset's front-facing camera and IR proximity sensor, thus leaving a sizable space to the left of the earpiece. The NFC standard uses RFID (radio frequency identification) technology to allow two electronic devices to communicate when in close proximity to each other. A number of companies are starting to adopt the standard as a means of payment with services like Google Wallet leading the way. By storing credit card, bank, or other digital payment information on a device, NFC can securely conduct transactions with other authorized devices. The system is already in use in countries such as Japan, but has yet to gain footing in the U.S.
Apple's intentions to utilize NFC are murky at best, but rumors have persisted that the company is looking to integrate NFC payments into the iPhone sometime soon. Fueling speculation is the upcoming Passbook app, slated to make its debut when iOS 6 rolls out this fall. On launch, the program is not expected to have transaction capabilities, and will be limited to storing data for tickets, store membership cards, and airplane boarding passes. That could change, however, if and when Apple decides to enter the mobile payment market. With millions of installed credit card holders already using iTunes, the company stands to make a significant impact if it chooses to link the online media store with an NFC solution. While the Apple remains mum on Passbook's future, CEO Tim Cook said during the company's conference call for the third fiscal quarter of 2012 that the app is a "very key feature" in iOS, but declined to elaborate. Also making an appearance in Sunday's photos were the previously reported protective display shielding as well as an installed home button and camera. Apple is widely expected to unveil the sixth-generation iPhone on Sept. 12, with a U.S. release to follow on Sept. 21. Adding further evidence to the launch date rumors are alleged Verizon and AT&T employee vacation blackout dates scheduled between Sept. 21 and Sept. 30.